Gaxy about the new organization: "It feels amazing to be part of Ninjas in Pyjamas"
PGI 2018 First Person won by OMG! Here you can find all content on Fragbite related to the topic Playerunknown's Battlegrounds. 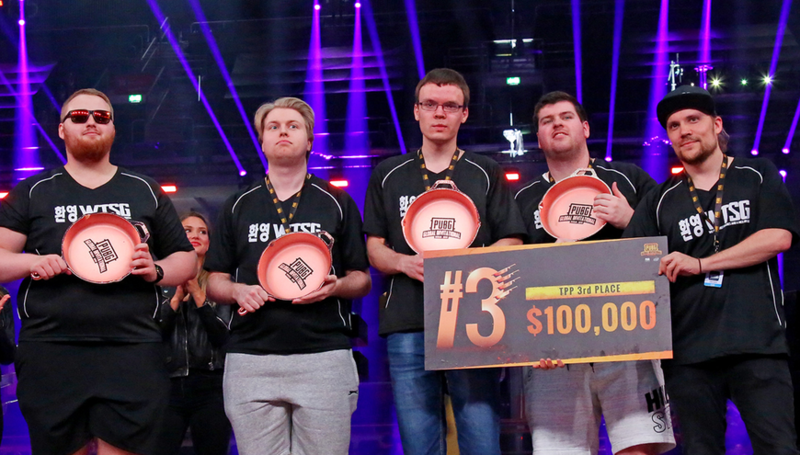 In September Ninjas in Pyjamas secured one of the top teams in the PUBG scene, "Welcome to South Georgo". We spoke to one of the players, Laurynas "Gaxy" Rudys, in order to get to know the new ninjas a bit better. It all went very fast. 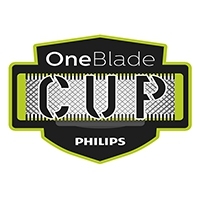 The Ninjas in Pyjamas which we all saw in the qualifier to Fragleague the past summer, through the tournament Philips OneBlade Cup, where they ended up in fourth place, are all gone. In September, all of the previous players left the organization and a new squad entered NiP, a squad that previously played together under the name "Welcome to South Georgo". Now, a month after the changes, we had a chat with Laurynas "Gaxy" Rudys, with the purpose of discussing the goal of the team and to get his view of the PUBG scene and what it looks like today. To get contracted by an organization like Ninjas in Pyjamas means a lot to the team, they can now focus entirely on PUBG and, according to Gaxy, the players feel a certain stability that they did not have before signing with NiP. The common goal of the team is to create their own legacy and bring the organization to new heights within the PUBG scene. Although the team always wanted to be as good as possible, they feel that the fact that they are now signed will help them reach the top. — It feels amazing to be part of Ninjas in Pyjamas and they've really been welcoming to us and making us fit right in, Gaxy told Fragbite. When we ask Gaxy what roles every person in the team holds, he says that everyone must be able to do everything. 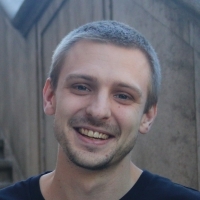 But if he needs to set specific roles, he would say that Laurynas "Nbslol" Kisielius is the team's main in-game leader who decides what the players are going to do. Alex "vard" Gouge is a sick fragger and Justin "MiracU" McNally are the same, but he usually plays more of a support role. Personally, Gaxy says that he's an entry fragger as he's usually the first to go in on another team, but he also takes on all roles within the team. All of these components and the fact that everyone can do everything is what makes them a good team. Everyone can lead, frag and they work well as a unit without any egoists. Everyone in the team knows what they are capable of and everyone adds their part, even though a person may not top frag in a match, they're still a huge part of the team. 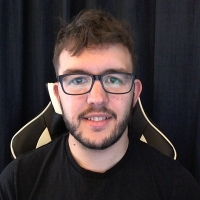 Since Gaxy's team is undoubtedly a top team in the PUBG scene and has participated in several major tournaments, we asked him how organizers around the world can improve their tournaments and leagues. The Lithuanian player says that it's a difficult question, but he would appreciate if organizers took the time to build a story with better introductions of the teams and players as well as more statistics. He wants all viewers to know what he or she are looking at. But what is actually required in order to reach a professional lever in PUBG? Playerunknown's Battlegrounds is all about map knowledge and, according to Gaxy, Erangel is the best map for competitive gaming. 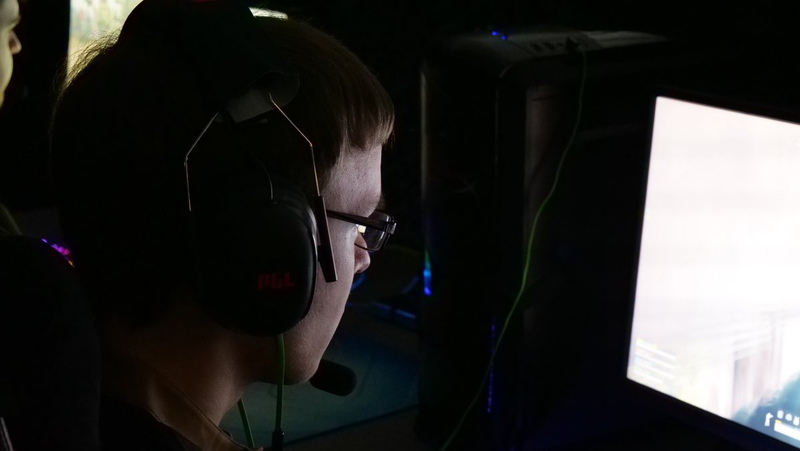 The 22-years-old believes that you have to spend a lot of time on the game by playing yourself, but also by watching when better players play both in tournaments and on streams. His last tip is to not only play the normal public mode while playing, it's better to play via Faceit in order to get used to the competitive settings and style of play. Of course, we had to ask Gaxy if his team will continue to drop in the southern part of Georgepol, given that they have now become ninjas and no longer call themselves "Welcome to South Georgo". However, the fans of the team don't need to worry. The interview ends with Fragbite thanking Gaxy for his time, wishing his team good luck on their future endeavors and let the player turn to his fans. The Friday in Berlin, Germany during the PGI 2018 event was an off-day for the players, but many of them kept up their aim by teaming up with streamers and personalities in a battle to earn money for charity. Some of the huge names invited to the event included Mike "shroud" Grzesiek, DrDisRespect, Tyler "Ninja" Blevins among others. Each squad was made up of two professional players who were playing in the PlayerUnknown's Battlegrounds Global Invitational 2018 main event, and two personalities. Some of the huge names invited to the event included Michael "shroud" Grzesiek, DrDisRespect, Tyler "Ninja" Blevins among others. Each squad was made up of two professional players who were playing in the PlayerUnknown's Battlegrounds Global Invitational 2018 main event, and two personalities. Up for grabs was one million US Dollars, which was spread between the top three teams, with each player being able to donate their share to a charity of their choice. The eventual winners were Team Papa, made up of two players from the TPP event winning team, Gen.G Gold, as well as Evermore and Juankorea. For those looking for Ninja, his team ended up in 5th place, with Doc and shroud in 8th. PGI 2018 Third Person won by Gen.G Gold! After a break on the Friday, this weekend played host to the final two days of the PUBG Global Invitational 2018 in Berlin, Germany. The First Person Perspective (FPP) event of the PGI 2018 has been won by the Chinese team, OH MY GOD! They have been crowned champions of PGI 2018 FPP to take away the lions share of the $1m prize pool, taking $400,000, with 70 kills in total with is no small feat, with Yao "lionKK" Hao picking up the most kills with — kills altogether. The PUBG Global Invitational 2018 which is due to be held in Berlin, Germany at the Mercedes-Benz Arena from July 25-29, is the first major esports tournament for the game to be hosted by PUBG Corp themselves. The $2,000,000 prizepool will be split with $1m going to each FPP (First Person Perspective) and TPP (Third Person Perspective). The twenty participating teams have had to earn their places through various grueling qualifying events, spread around the world, including from Europe, North America, Latin America, CIS region, Korea, China, Japan, Ocean, South East Asia and more! The Third Person Perspective games will be played on just Erangel; whereas the First Person Perspective games will take place on both Erangel and the desert map Miramar. Each format will have eight matches played, with four taking place a day. Points are given for both kills and finishing positions. Each kill is worth 15 points. The $2,000,000 prize pool is split between the two disciplines, with one million going to each TPP and FPP. First place, of course, takes home the lion's share of the money up for grabs, with $400,000 going to each first placed team. The team who wins each individual match will get $10,000. Two MVPs will also take $10,000. The main event of the PUBG Global Invitational 2018, otherwise known as PGI 2018, is on the horizon. The first major tournament organised by PUBG Corp has had qualifying events around the world, and they are all coming to a head as we take a look at the winners from each region. With it covering such a vast area, the qualifiers concerning countries from the Asia region were split up into various different regions. The PUBG Korea League handled the qualifiers for Korea, through a variety of tournaments. The top two teams in the first half of the PUBG Korea League qualified for the PGI 2018. The winner of the Thai qualifier took home 40,000 Thai Baht ($1,200 USD), and the spot at PGI 2018, whilst the top 4 teams all secured a place at the Southeast Asia. The SEA Qualifiers consisted of four teams from each Indonesia, Singapore and Malaysia, Philippines, Thailand and Vietnam. The team who emerged victorious were once again Made in Thailand, but as they had already qualified from the Thai qualifier, the PGI 2018 place went to Refund Gaming. The Taiwan qualifier was decided through the MetalHogs PUBG League, which you may have seen advertised in game through the wall decals, with it's distinctive logo. ahq e-Sports Club were the team who you will be seeing in Berlin, after they were victorious. The Chinese based qualifiers had both First Person Perspective (FPP) and Third Person Perspective tournaments, with the winner of each securing themselves a place at the PGI Main Event in Berlin. The main event of the PUBG Global Invitational 2018, otherwise known as PGI 2018, which will be held in Berlin, Germany is fast approaching. The first major tournament organised by PUBG Corp has had qualifying events around the world, and they are all coming to a head as we take a look at the winners from each region. Two of the 20 slots available at the PGI 2018 main event went to the CIS qualifiers, which were held in the Belarus capital of Minsk. It was Natus Vincere and Avangar who came out on top, each with more than 1000 points more than their closest rivals in third place. The $30,000AUD offline qualifying event for the Oceanic Region took place in Sydney, Australia, and it was an Australian team who came out on top, as Chiefs Esports Club took the one position that was up for grabs. It was the PUBG TAMGame League - Summer 2018 that decided which team would be representing the Middle East region at the PGI 2018 main event. The offline event was held in the Volkswagen Arena, Istanbul, Turkey. The eventual winners of the $34,000 tournament were OyunHizmetleri eSports. ESP Gaming have announced the World Showdown of Esports, WSOE with a launch party in Las Vegas this weekend, with The PUBG Pan-Continental. ESP Gaming, are in their own words "the premiere competitive gaming content company" and back in April they announced that they were acquiring the online PUBG tournament organiser Auzom. Now just months later they have announced the World Showdown of Esports. WSOE is a multi-genre esports tournament series, with an MMA-like Fight Night style. The well-known esports veteran Richard Lewis, formerly host of LEAGUE and legendary esports journalist, has joined the organisation as Director of Talent. July 14-15 sees 16 of the world's top PUBG teams in Las Vegas at the PokerGO Studio competing for their share of the $100k prize pool. The main event of the PUBG Global Invitational 2018, otherwise known as PGI 2018, is creeping up on us. The first major tournament organised by PUBG Corp has had qualifying events around the world, and they are all coming to a head as we take a look at the winners from each region. The three teams who will be in Berlin from the North American qualifiers will be Team Gates, Ghost Gaming and Honey Badger Nation. The biggest shock for the North American qualifiers would be how well Ghost Gaming managed to perform, as they had to use Caden "CAD3N" Brill and Zachary "Venerated" Roach of Team Envyus in place of their regular players Mathias "Turtle" Nielsen and Sebastian "BALLOC" Berendt due to visa issues. Only one spot went to the Latin American qualifiers, so this was a fiercely contested event, which was played on both FPP and TPP. The winning team, Savage Esports did so in a pretty convincing fashion in the end, with over 800 points more than their nearest rivals. They did this by winning two chicken dinners and securing a huge amount of kills whilst doing so. The European PUBG Global Invitational 2018 Closed Qualifiers take place over this weekend, in Leicester, England. When the dust has settled, three teams will have secured their place at the PGI Grand Finals in Berlin. Twenty teams have traveled to the English city of Leicester to battle it out for their share of the $100,000 prize pool on offer, but more importantly the three places in the 2 million dollar main event which will take place in Berlin, Germany at the end of July. Since the EU Open Qualifiers, two teams who made it through have been disqualified and replaced, with Inside Games being removed due to having players in multiple teams, finding themselves replaced by Rogue, and Team Valhalla being replaced by Team Liquid after one of their players received a game ban. The new 4 x 4 km map that was known as 'Codename Savage' previously, has arrived on the PUBG live servers. With it comes the event pass and a new patch. The event pass is similar to rival Fortnite's 'battle pass', offering missions and levels which rewards the user with cosmetic items, some permanent, others not. The map has a much higher spawn rate for ARs, SMGs and DMRs, this combined with the smaller map size, gives the map a much more of a 'deathmatch' feeling. The weather changes dynamically, so in the one game you may see sun, fog and rain, each offering a new aspect to your gameplay. The QBZ is a Sanhok only weapon that is available for use, which is in place of the SCAR-L, and is also a 5.56mm weapon. The bullpup designed gun is like the AUG crate weapon on steroids, super powerful with low recoil, and is sure to be a favorite. The whole host of changes that come along with Patch 15, can be found below.